A friend of mine mentioned that I should do some posts on words I use differently or don’t use at all, the kinds of things I put in my linguistic garbage can. That’s one of the fun things about language, we can remodel it for our own use, and use it in the ways we want. “Can’t” is the first of these, and represents a whole class of words, like “Impossible”, “Insurmountable”, and “Unattainable”, etc. You know the ones. I want to talk about what they mean to me, how I deal with them, and why they belong in the garbage. I used to not do all kinds of things. I wouldn’t even try, and when people asked, I’d say “I can’t.” Sometimes I’d try a bit, and then I’d stop, because “I can’t.” Sometimes I’d talk about the kinds of things I wanted to do, and people would shake their heads. When I asked why, they’d say “Because you can’t.” There’s a few dimensions to this, I think. The first of them involves tearing ourselves down, a line of thinking that says “I can’t, but others can”, which is a problem because of the way we use “Can’t”. “Can’t” is not a reason or a justification, it’s a result. The statement “Because X can’t” isn’t an explanation, because in order for it to be a cause, we first have to assume that it’s true. 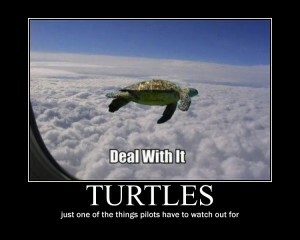 Turtles can’t fly. Why? Because they don’t have wings, not just because they can’t. Discounting “Can’t” from my list of acceptable reasons wasn’t the only thing that led to me throwing it out, but it was a start. It wound up in the garbage because of all the things I saw people doing by disregarding it. The industrial revolution, flight, railways, computers, people had perpetrated all kinds of great things by not respecting “You can’t” or “That’s impossible” as a reason. 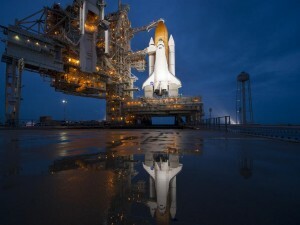 Spaceflight and the exploration of the poles came about in part because when humans were faced with something that seemed impossible, they pressed on. People who, at the end of the day, are a lot like us. They had doubts, and fears, and good days, and bad ones. I thought I’d live for just a few weeks without “Can’t”, to see what it was like. I stopped saying “I can’t”, and started using that energy to push forward. That was many years ago, and I haven’t looked back.